Bibles for America offers seven titles by Watchmen Nee and Witness Lee as free downloadable e-books on their website, such as The All-Inclusive Christ and The Glorious Church. The number of book downloads from their site has steadily increased over the past six months, reaching over 124,000 so far this year. Pray that those who have received these books would be brought into the experience of Christ and see God’s eternal purpose regarding the church. 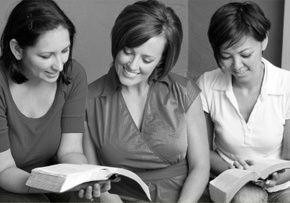 Pray that they would share with others what they have received through these publications. Pray for a spiritual hunger among the believers in this country, that many would discover these publications and be brought into the experience of Christ, see God’s eternal purpose and enter the church life.